FM Approvals has been made aware of counterfeit electrical equipment being produced and marketed from Omaya Automation Apparatus Equipment Co., Ltd.
Omaya Automation Apparatus Equipment Co., Ltd.
Omaya Automation Apparatus Equipment Co., Ltd. (Omaya) is advertising and selling model YA-T1000, YA-T1500 and Type YA-500X and YA-550X transducers as intrinsically safe and certified by Factory Mutual (FM) or FM Approved. These claims are false. 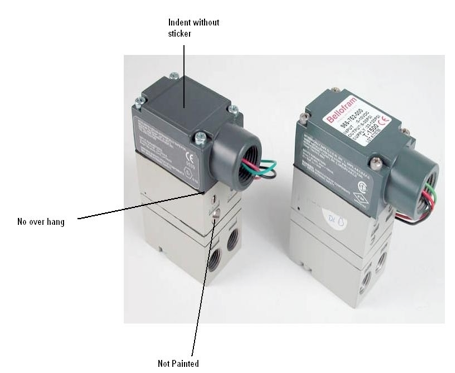 The products in question are electro-pneumatic transducers and bear the labeling indicating they are certified for use in hazardous locations. FM Approvals has not tested nor certified these products. The use of these products may present a serious safety concern for the user. This product was purchased by Marsh-Bellofram from the Omaya Web site. The FM Approvals certification mark may lead a user to conclude this product is Intrinsically Safe for Class I, Division 1, Groups A, B, C, D and Nonincendive for Class I, Division 2, Groups A, B, C, D. These labeling criteria have not been verified by FM Approvals. Installation and use of this product may cause ignition or explosion in designated hazardous location areas or zones. The counterfeit product is on the left and the authentic product is on the right. The pointers identify telltale aspects of the two products. 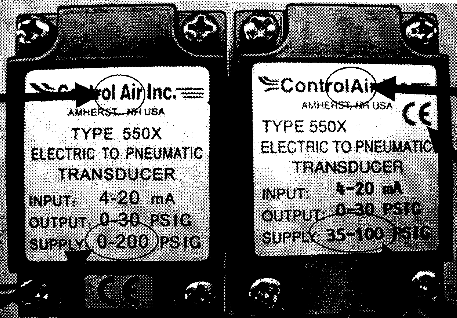 This figure highlights some of the telltale indicators of the counterfeit transducer (left) and the authentic ControlAir product (right). 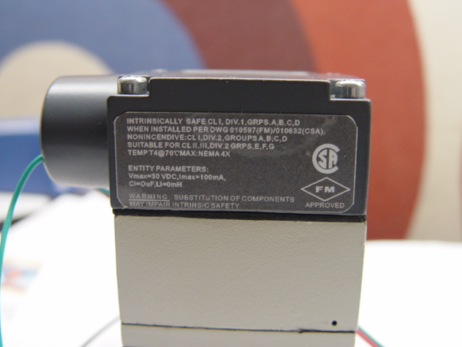 The supply conditions on the counterfeit label are one indicator of the safety issues associated with this counterfeit.